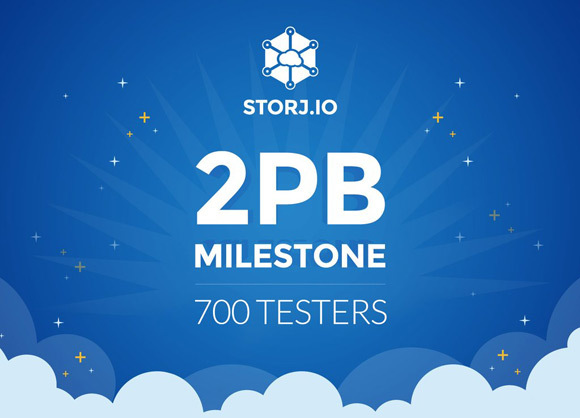 Storj has announced that they have achieved another milestone in their testing phase, passing 2 TB of total storage shared by over 750 users currently participating in the Test Group B running the DriveShare application and sharing free space on their hard drives. Storj still has about 400000 SJCX to distribute as rewards for Test Group B users (users are required to have at least 10000 SJCX in their wallet in order to receive rewards from the beta testing). The Test Group B will continue to run until the promised rewards are distributed and then Test Group C will be launched which will be focused on testing actual file transfers on the P2P network including latency, bandwidth, throughput and more. For the moment the software only generates dummy data on the user’s hard drive for the shared amount of storage and does not download or upload it, so the next testing step will be focused on that part of the functionality of the service. 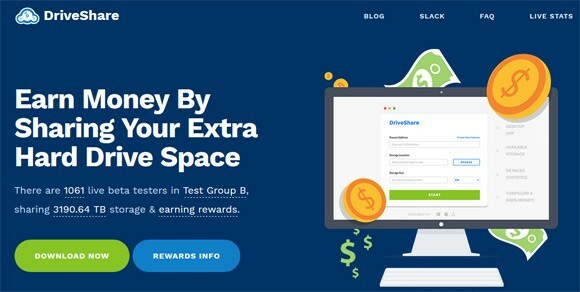 Recently we have posted a short guide on how you can participate in the Test Group B using the latest version of the DriveShare GUI software along with our experience going through the process of creating a StorjCoin X wallet and getting more than 10000 SJCX in it in order to be eligible for the rewards in Test Group B, so we are going to keep you updated on the testing progress and future development. You can test the DriveShare GUI software even if you do not have the 10000 SJCX coins in your wallet, but then you will not be eligible for getting rewards for your efforts. With that said if you are in for the rewards you should not expect to get too much SJCX coins as a reward for your help at the end of each month for participating in the testing phase, the rewards are there more as a token of gratitude for helping in the development of the service.